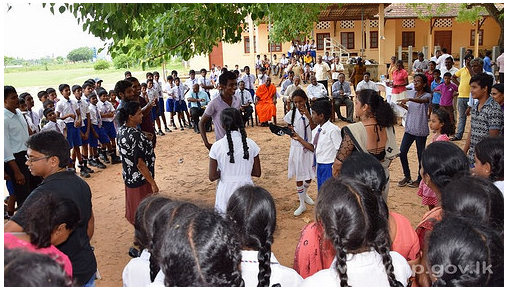 Reconciliation & Rights - Sri Lanka | Features informed discussion on the reconciliation process in Sri Lanka, with a strong emphasis on the protection and promotion of rights. 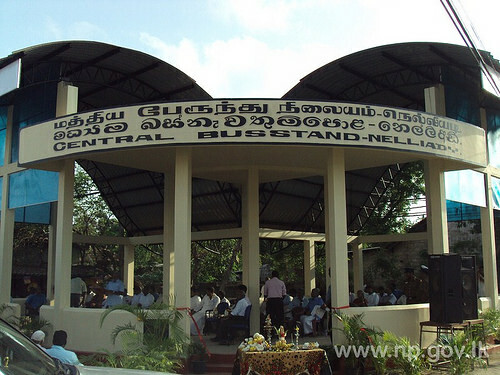 The newly constructed Central Bus Stand in the Nelliyady Town was ceremonially declared open by the Chief Minister Justice C.V.Wigneswaran on 21 May 2015. In the presence of Provincial Minister of Fisheries & Transport B.Deniswaran, on the invitation by the Vadamaradchchi South West Pradeshiya Sabah Chairman P. Viyakesu .This Bus stand was constructed by Vadamaradchchi South West Pradeshiya Sabah with the Provincial council funds. Provincial Council members, Secretary to the Chief Minister R.Varatheeswaran, Secretary – Provincial Minister of Fisheries & Transport S. Sathiyaseelan, officials and general public were present at this event. The World Environment day was celebrated under the concept of “Seven Billion Dreams… One Planet… Consume with care” by the Ministry of Agriculture and Agrarian Services, Animal Husbandry, Irrigation, Environment, Water supply, Food supply and distributions and Co-operative Development, NP with the coordination of Ministry of Education, Cultural Affairs, Sports and Youth Affairs NP at Katpurapulveli, Mullaitivu on 05th June 2015. 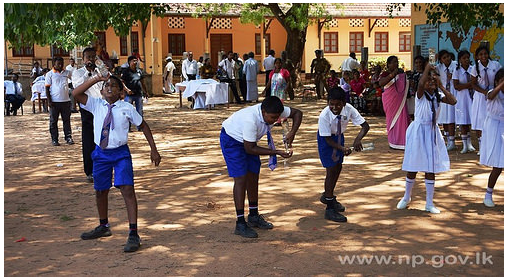 Minister of Education T.Gurukularajah and Minister of Agriculture P.Ayngaranesan and Provincial Councilors T.Raviharan, S.Sivamoha and K.Sivanesan also participated. 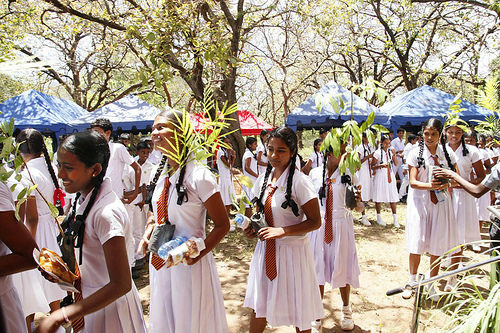 In the end of the event, seedlings and school kits were issued to the students by the guests. 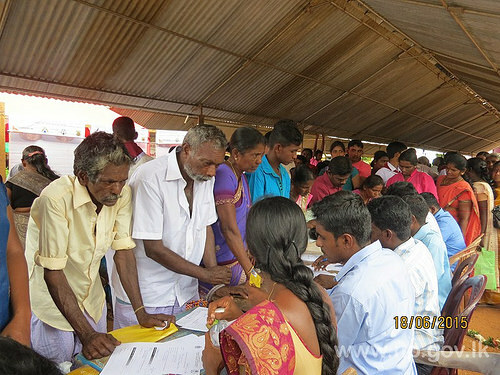 A Mobile Service was organized by the Northern Provincial Council in collaboration with District Secretariat, Mullaitivu on 18 June 2015 at Palinagar Mahavidyalayam in Pandiyankulam seek solution to the public’s problem. 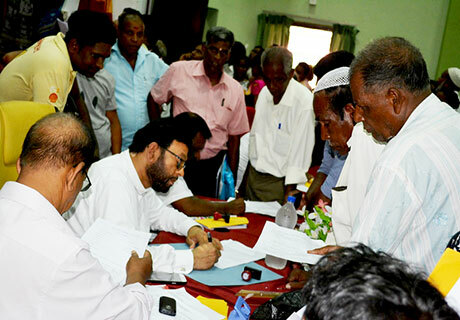 It was organized under the guidance and chairmanship of Chief Minister Justice C.V.Wigneswaran. On the same day newly constructed two storied science & Technology Laboratory declared opened by the Chief Minister and handed over to the Students. The Mobile service was ceremonially inaugurated by the Chief Minister and Peoples’ problems were listened and solutions were given. During this mobile service, 100 landless families received land deeds from the Chief Minister. At this mobile service Wanni district Parliamentarians, Provincial Ministers, Mullaitivu district Provincial Council Members, Addl. Govt. 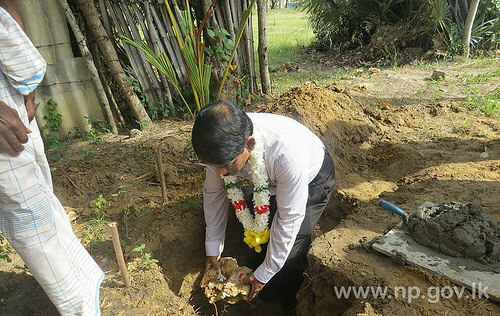 Agent, Mullaitivu, Provincial Council Secretaries, Heads of Departments and Divisional Secretaries from Thunukkai and Pandiyankulam were also participated. Around the 2900 complaint were received during the mobile service, instant solutions were sought around 2300 complaints, remaining complaints were treated for further action. Central Ayurvedic Dispensary Paragahakela, Ampara was ceremonially opened by Hon.M.I.M.Monsoor , Minister of health and indigenous medicine of EPC on 11/6/2015. Chairman of Eastern Provincial Council Hon. A.P.Galappathige Chadradasa, members of local Predeshiya Sabha, Provincial commissioner of indigenous medicine Dr.(Mrs) R Srithar, staff from RDHS Office Amapara and Ayurvedic Department also participated at this event. This Central Ayurvedic Dispensary was newly constructed under the Dayata Kirula project funds of Hon. Sarath Weerasekara. Under the guidance of Chief Minister of Northern Province, Justice C.V.Wigneswaran, Chief Minister’s Ministry provided the financial assistance to the war affected people who are below poverty line in Northern Province for construction of permanent houses under PSDG fund. Chief Minister has given the first payment to the beneficiaries at the Chief Minister’s Secretariat on 17 June 2015. 09 beneficiaries received the first payment under this scheme. Secretary to the Chief Minister R. Varatheeswaran chaired the event. Ministry’s Chief Accountant P. Jeyarajah was present also in this event. Chief Minister laid down the foundation stone for a house at Navatkuli also. 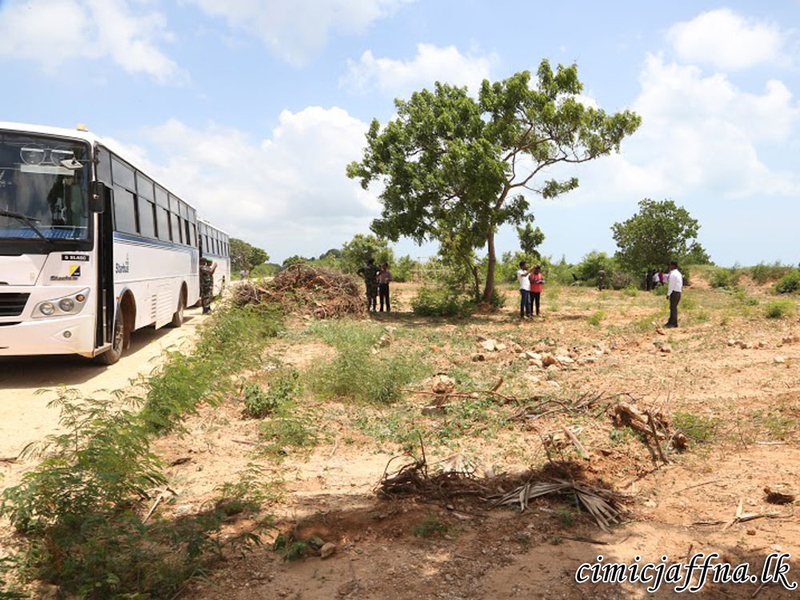 A team of media personnel representing 44 electronic and print media based in Colombo and Jaffna visited lands newly released from the Palaly Military Cantonment in order to get firsthand experience on the process on June 10, 2015. They were initially educated on release of lands in different stages since the end of the Humanitarian Operation in 2009 during briefing conducted at Headquarters Security Force – Jaffna (SF-J), Palaly. Responding to questions raised by journalists during briefing, Commander SF-J Major General Nandana Udawatta revealed that 99.44% of contaminated areas have been cleared of mines and humanitarian demining is being continued by the Army Engineers and foreign demining agencies in the remaining area. He further added that Jaffna is safe in the aspect of security and no terrorist activity has disturbed the Jaffna life after the war ended. Journalists from both government and private media firms joined the visit organized by the Media Centre, Ministry of Defence. The delegation was headed by Military Spokesman Brigadier Jayanath Jayaweera. Senior officers of the SF – J were also present on the media briefing.